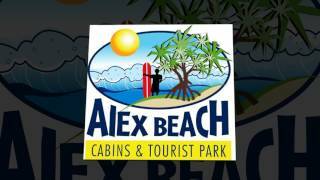 Alex Beach Cabins and Tourist Park is only a 180 metre walk from the beach, or you can lie back and relax in the new resort-style heated swimming pool. The Park has 75 Holiday Homes (Superior Villas), Villas and Cabins available to suit any budget, eight ensuite powered sites, and 44 powered caravan/motorhome sites in their 2.5 hectare Top Tourist Holiday Park. 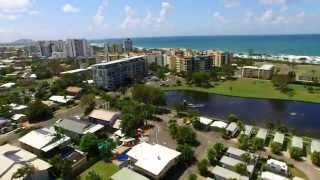 This Park is centrally located midway between Mooloolaba and Maroochydore on the central coastal strip of the Sunshine Coast, Queensland Australia. 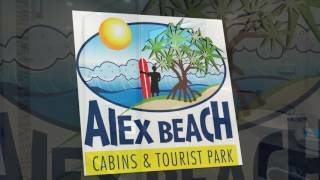 In a lakeside setting, it is in close proximity to the skate park, nature, restaurants, cafes, Surf Clubs, fast food, groceries, and bars, all within walking distance, providing a truly relaxing time on the Sunshine Coast. The Park also has a laundromat, Games Room, children's playground, a large undercover barbecue area with pizza oven, free barbecues and plenty of seating, and a heated resort-style pool. The Park's Resident Manager, Les Woodbury, with 35 years' experience and has many awards for outstanding contribution to the Hospitality Industry. He and his team will strive to provide you with a truly memorable stay that will have you coming back again and again. They all look forward to welcoming you. Two Bedroom Villa is a five berth (maximum four adults) which comes with ensuite shower and toilet, Foxtel 38 channels including 10 movie and eight kids channel, reverse cycle air-conditioning in the lounge room, queen bed in a separate bedroom, bunks and one single bed in the other separate bedroom, fully equipped kitchen including utensils and microwave, lounge/dining area, two door fridge, stove, microwave, LED television/DVD, hair dryer, ceiling fans and covered patio. 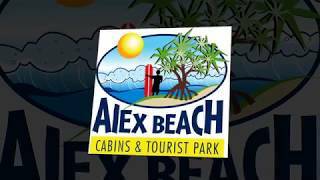 Linen, blankets and towels are supplied (please bring beach towels), queen bed is made up and linen packs for the single beds are provided on arrival. Midweek off peak special available, stay four nights pay for three. One Bedroom Villa is a four berth which comes with ensuite shower and toilet, Austar, reverse cycle air conditioning in the main area, queen bed is in the main room, two single ensemble beds in separate room, fully equipped kitchen including utensils and microwave, lounge/dining area, two door fridge, stove, colour LCD television/DVD, hair dryer, ceiling fans and covered verandah. Linen, blankets and towels supplied (please bring beach towels), queen bed is made up and they supply linen packs for the single beds on arrival. Ensuite Cabin Queen four or five berth is either a one bedroom or an open-plan cabin, which comes with ensuite shower and toilet, reverse cycle air-conditioning, queen bed and bunks, fully equipped kitchen including utensils and microwave and dining area, two door fridge, stove, microwave, LED television, DVD ceiling fan and covered veranda. Linen, blankets and towels supplied (please bring beach towels), queen bed is made up and they supply linen packs for the single beds on arrival.